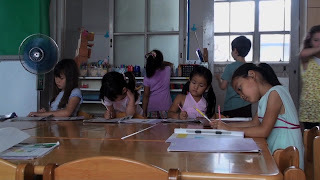 How best to educate our kids continues to be a topic of discussion, which has recently been spurred on by the release of feature length documentaries. 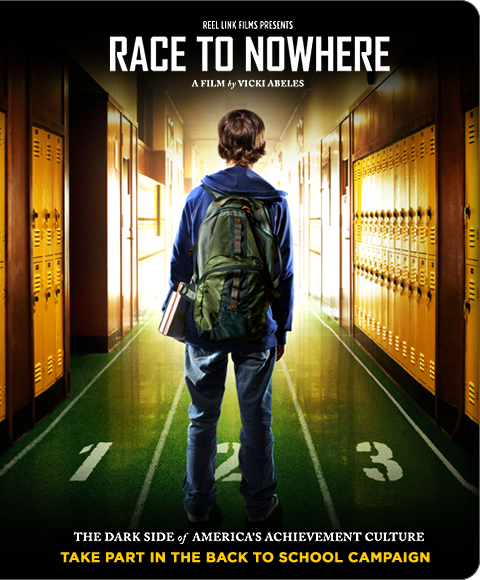 Race to Nowhere is the latest release on the subject. 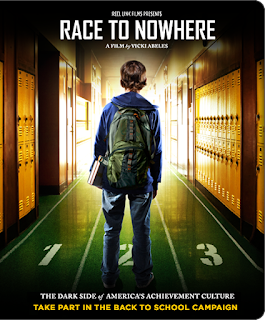 From the film's website: “Race to Nowhere points to the silent epidemic in our schools: cheating has become commonplace, students have become disengaged, stress-related illness, depression and burnout are rampant, and young people arrive at college and the workplace unprepared and uninspired. We do not have an opinion on this film as we have not had a chance to view it. But that chance is coming soon. To learn more about this film and learn where it is being screened, click here. To view the trailer, click here. For those who have a chance to view this documentary, we welcome your comments.